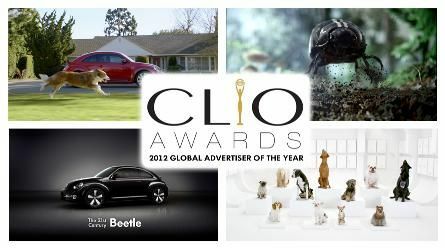 The International CLIO Awards has given VW its 2012 Global Advertiser of the Year for the company's unique and creative advertising. Find out which ads won and why. The International CLIO Awards are the world's largest advertising prizes given to companies, agencies, and artists for their work in marketing and advertising. While Hollywood has its Oscars and the music industry has its Grammy's, advertising has the CLIO. These awards are given by the advertising industry to brands and creative professionals who exemplify creative excellence. At the 53rd annual awards, coming this May 15th at the American Museum of Natural History in New York City, Volkswagen will again take honors for its unique and unusual advertising. VW won awards in 1999 and 2009 as well, so this is not the first time the German automaker has been recognized as a world leader in creative advertising. Karl Vontz, Director of the CLIO Awards, says that "Volkswgen has a knack for grabbing our attention in unique and different ways while holding their brand to a very high standard." The Advertiser of the Year award is given to a brand whose global work achieves creative leadership. This past year, VW has run ads in all of its markets worldwide that have hit specific cultural and often humorous nerves in each area of the globe. The award comes as Volkswagen receives 15 individual CLIO Awards for various campaigns around the world in several types of media from film to print and television. The marketing teams and creatives who made the ads were also recognized.